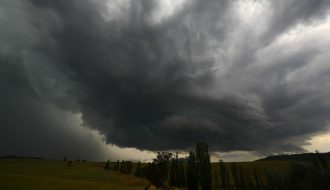 A cut off low pressure cell has passed across south east Australia affecting South Australia, northern Victoria, New South Wales, Queensland and the ACT. The MODIS Worldview satellite images (Acquired from NASA 2/9/2015) clearly shows the low pressure cell and its structure especially across South Australia, Western Victoria and Western New South Wales. This is quite an interesting weather system. A rain band ahead of the low passed quickly west to east. Generally rainfall totals across most areas were not significant but a few locations did in fact receive moderate totals. The higher rainfall totals were generally isolated in nature. 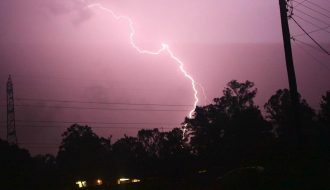 Ahead of the low especially across north east New South Wales and South East Queensland (Mainly inland), thunderstorm activity occurred during the early morning hours of the 3/9/15 with significant activity occurring by 2.30 am. At Swan Hill as the rain band passed over, a peak wind gust of 61 km/h was observed at its local weather station at 4.24 pm 2/9/15. 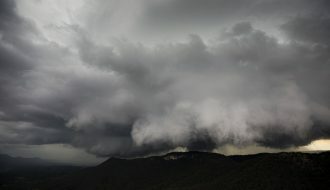 In New South Wales, snowfall occurred across the Snowy Mountains as the system passed over. The system had less impact on Sydney other than providing a few passing overnight showers and showers being observed out to sea towards evening 3/9/15. Mt Hope - 32 mm. Blanchtown and Port Kenny - 30 mm. Elliston and Streaky Bay - 28 mm. The Adelaide Hills received between 11 and 21 mm and where heavier showers passed over, rainfall totals were boosted. Eversley (Wimmera) - 25 mm. Tooma Dam - 27 mm. 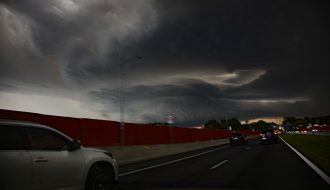 Albury Airport - 23 mm. 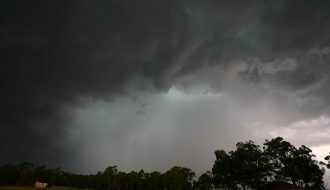 Narrandera Airport - 22 mm. In this area, rainfall appears to have been boosted due to the longevity of the rain event. 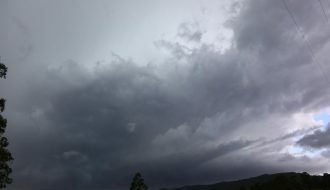 Across northern New South Wales (Northern Tablelands and eastern North West Slopes), fast moving thunderstorms provided no more than 10 to 15 mm. 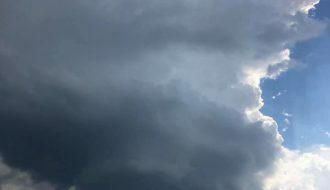 There have been coastal showers in the wake of the system across Eastern parts of Sydney and the Illawarra and South Coast but falls are not excessive. Rainfall was light although a few centres received 10 to 15 mm. The only standout figure is 27 mm at Drillham, west of Miles. 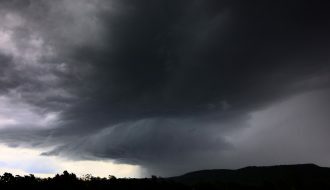 Rainfall was light although weather stations on the Brindabella Ranges recorded 11 to 13 mm.